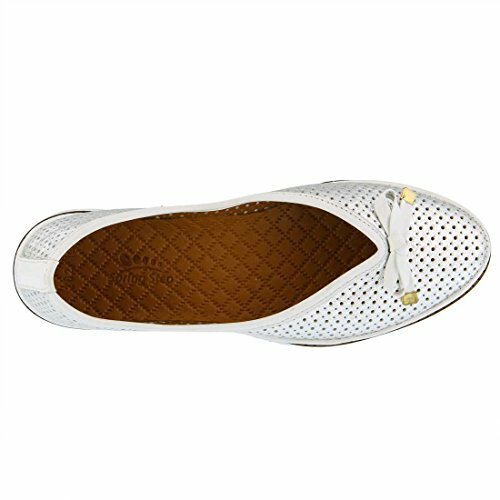 Spring Silver Perforated Women's Leather Step Abiah Flat Mentor Protégé Programs are designed to encourage large or experienced firms to develop technical and business capabilities of small and diverse firms to enable them to compete more effectively in their given market. These programs are typically government sponsored and managed. They are designed to meet the needs of small firms seeking to support the sponsoring agency or department. AECOM recognize the importance of these programs and the support they provide to our small and diverse firms. We are committed to participating as a mentor in these programs and in developing our small and diverse partners.